Last Saturday I attended Cardiff Young Carers’ barbecue in Butetown Youth Pavillion. There was an amazing showcase event to start, with talented young people singing solos and in groups. In between songs there were some personal stories that were so moving that when it was my turn to speak I had to fight against the big lump in my throat. I also heard more stories and experiences form young people, parents and volunteers during the informal barbecue session afterwards. I heard young people reflecting on how at a very young age they had got themselves up and out to school, then as they got older ensured that parents and siblings were also up, dressed and fed each day. They spoke about how it can be both worrying and frightening to live with parents whose mental health is severely affecting their ability to function. And they talked about the physical care that parents with physical illness or disability might need with everyday tasks. Most worryingly, they spoke about how this has made a difference to their education and social lives. Some have experienced bullying along the lines of ‘she needs to bath her dad’, said in a negative way. Another boy said his school had been negative about him having to pop home to help his mum who had got stuck on the sofa due to her disability and needed help to move. Several said they are really struggling financially, and although some of them also have Saturday jobs, not all can take up paid employment on top of school or college and being there for their parents. Although I had met some of the young carers before at national events, it was great to see them relaxing in the place they feel so comfortable. 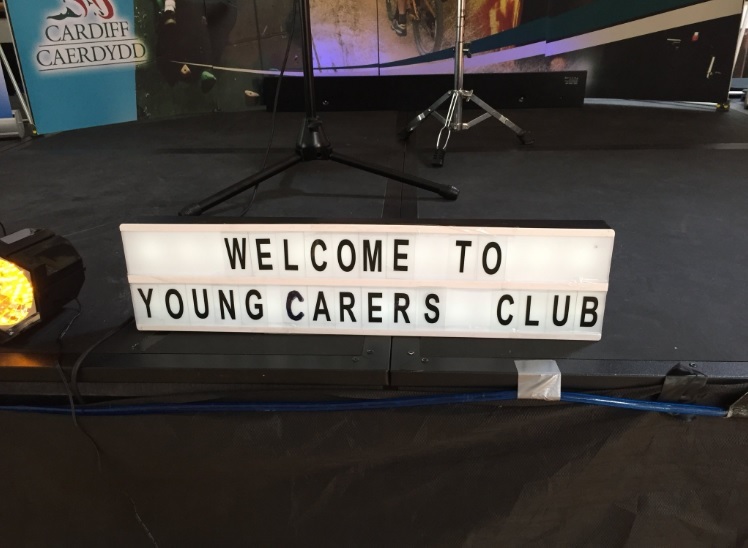 Cardiff council, with a lot of support from the Rotary Club for extras such as trips, runs a weekly club for young carers which gives them a chance to be children and young people again amongst people who understand. Two girls explained how the space to study and revise during the club meant they had passed exams. Others said they were less upset at missing out on holidays and trips with school, because they knew they would get to go on some trips with Young Carers. One worker told me that on a trip to Tenby two young people had their first ever beach experience. There are young carer groups in every corner of Wales, some run by local authorities and some by charities such as the YMCA and Barnardo’s. The Flintshire young carers’ group is one of my community ambassador groups and ensure that I have regular contact with young carers’ views. So, too, is the wider support of our community. There are some steps that would make a big difference to young carers’ lives. These include ensuring that schools know which of their students are young carers and explore with them what support they need, education for all children so that they respond to their young carer classmates with awe rather than bullying, practical life skills support such as first aid training and healthy cooking, and understanding from health professionals and pharmacists about their role in the family. 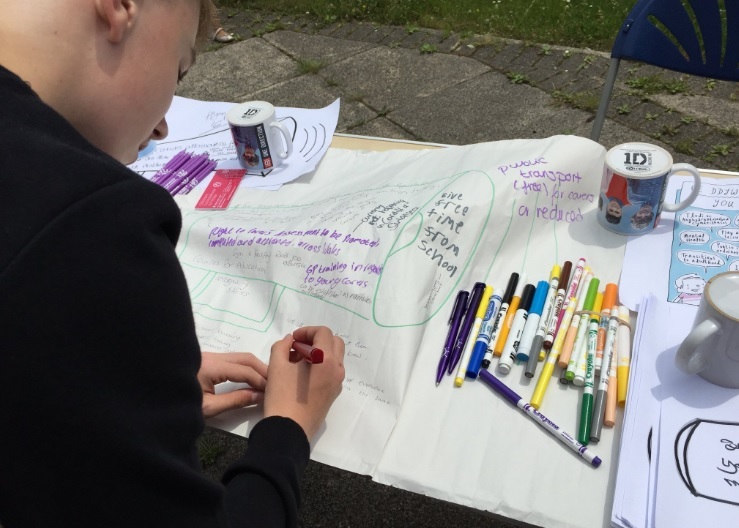 If you’d like more information on supporting young carers in schools, take a look at this toolkit from Carers Trust Wales.